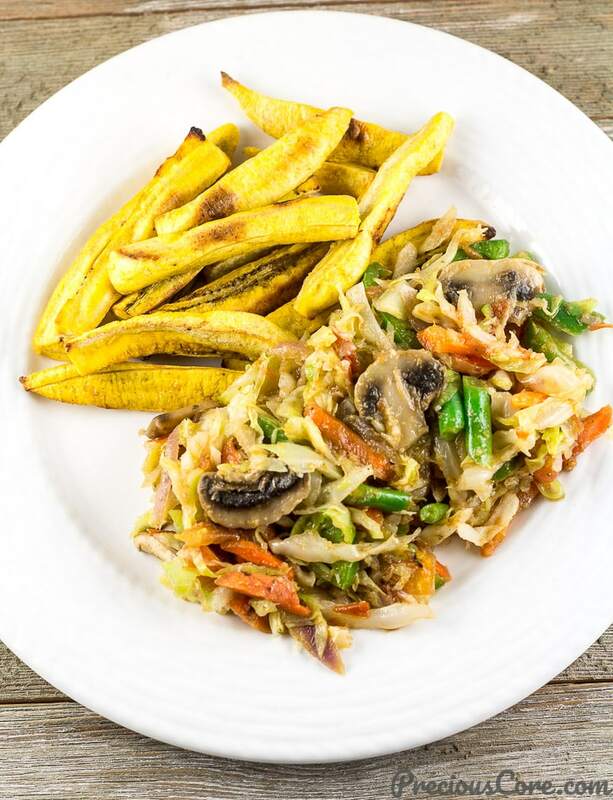 A number of you have asked me for African vegan recipes so today for #PCCleanEatingMarch, I am sharing one of my favorites with you: mixed vegetables with cabbage made completely vegan! 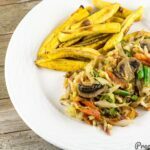 A while back, I decided to cook my cabbage with mushrooms instead of the regular meat, fish or chicken. I was blown away by the taste so I decided to share this discovery with you. 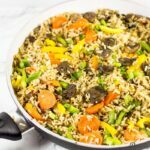 Mushrooms – they are so versatile! I add them to any vegetable and with them in a meal, I do not miss meat due to their meaty texture. Also, I love their savory taste AND they are filled with nutrients! So mushrooms for the win! These mixed vegetables reflect one way cabbage is cooked in Cameroon – sauteed together with carrots, green beans and bell peppers. Insanely good! My mother made this a lot while I was growing up. She made it, especially when she had to host others because this medley of vegetables looks so colorful on the table! I mean, just look at all the colors! Making mixed vegetables with cabbage is quite easy to make though it might take some time to chop all the vegetables. I highly recommend that you chop all the veggies before you start cooking. So get everything out and chop then you can put on the fire. It is tasty, garlicky, fresh, vibrant, loaded with nutrients and so good! 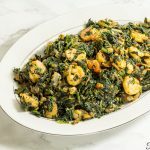 Enjoy as it is or serve with rice, plantains, potatoes or any side you enjoy. 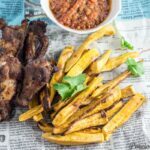 I served it here with baked plantain fries (recipe coming soon). So watch the video, go get the ingredients and make some! 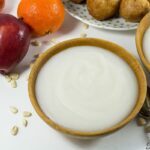 Hope you enjoy this African vegan recipe! This medley of vegetables is an easy delicious way to get lots of veggies into your body. The veggies taste great due to the epic spice blend I use. 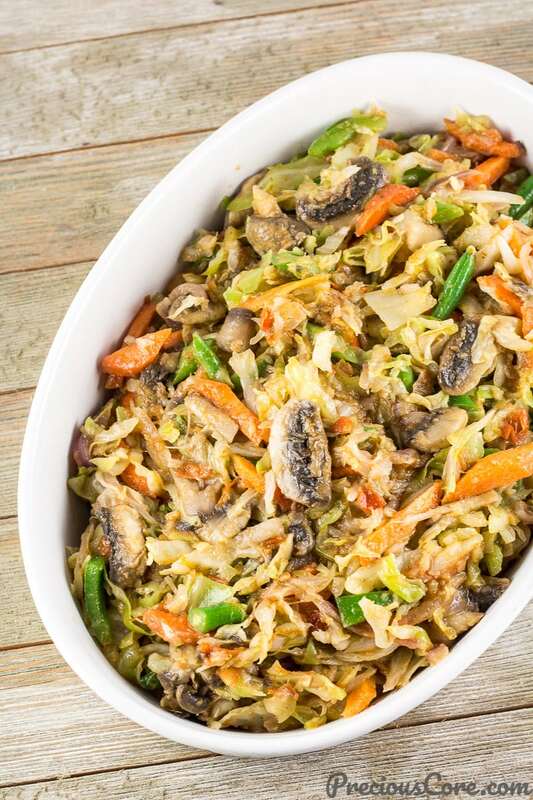 Enjoy your mixed vegetables with cabbage as is or enjoy with a starchy side of choice. So scrumptious! Place the garlic, ginger celery and cilantro or parsley in a blender. Add about a quarter cup of water and blend into a paste. Set aside. Season the mushrooms. Add a quarter teaspoon of salt, a tablespoon of the spice blend from step 1 and a quarter teaspoon of white pepper (if using) to the mushrooms. Mix well to ensure the seasoning coats the mushrooms. Set aside. Place 8 cups (2 litres) of water in a pot. Add a teaspoon of salt to the water and bring to a boil. When the water boils, put the cabbage into the water then turn off the heat. Push the cabbage in with a wooden spoon to ensure that the water covers all of the cabbage. Cover and let it sit for 5 minutes. After 5 minutes, strain the cabbage using a colander then rinse immediately with cold water to prevent the hot water from continually cooking the cabbage. Lightly squeeze the cabbage to remove excess water then set aside. Pour oil into a pot and heat up for 4 minutes. Add the chopped onion and let it saute for about 2-3 minutes until fragrant. Add the tomatoes and let cook for about 10 minutes until it starts sticking to the bottom of the pot. Be sure to stir from time to time as it cooks. Add the spice blend from step 1 to the tomatoes. Stir and let them cook for about 2 minutes. Add the mushrooms and let them cook for 5 minutes while you stir from time to time. Add a quarter teaspoon of salt, the seasoning cubes and white pepper (if using). Mix well to ensure everything is well incorporated. Add the carrots and green beans then stir. Add the bell peppers and stir then add the squeezed cabbage and mix everything to combine. Let them sizzle together for 2 minutes then turn off the heat and serve. 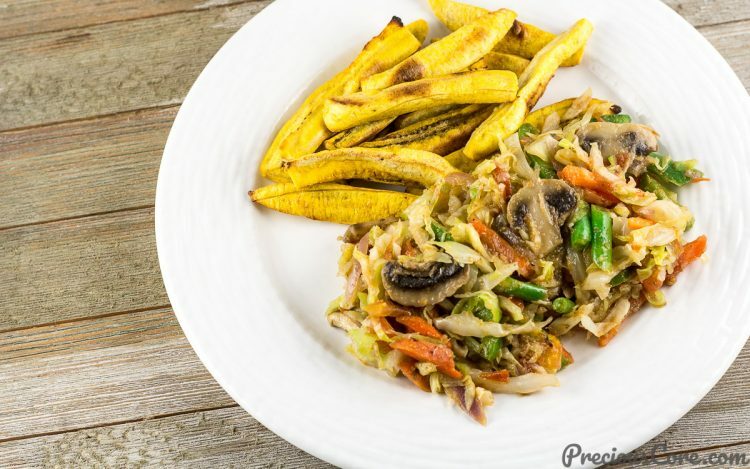 Enjoy your cabbage mixed vegetables as is or serve with rice, boiled plantains, potatoes or any starchy side of choice. 1. If you love heat in your meals, feel free to add 1 habanero/scotch bonnet pepper while blending the spices and herbs. 2. Alternately, you could cook this with chicken, beef or fish. If you choose to use any of these proteins, season them the same way the recipe says you should season the mushrooms (with the spice blend, salt and white pepper), then grill till done before adding to the tomatoes. If you make this recipe, please take a moment to rate it below. Also share a picture with me on Facebook or tag me on Instagram. I’ll love to see! Force yourself! You are not always going to feel motivated. You are not always going to feel like pursuing your dreams. But you have to force yourself. Force yourself to wake up. Force yourself to follow those dreams. Force yourself. This was so delicious! I love your recipes they come out good every time! My fiancé loved this dish, I added some sausages on the side (not so vegan) but oh so yummy! You are the best! Christina, I am jumping for joy! Thanks for the feedback. I loved the colors and taste of this dish. I was taught to eat the rainbow when it came to meals. All one color means it’s not balanced. This was beautifully balanced and was fantastic to eat. I followed your recipe with one exception. I chopped the cabbage, rinsed it, and sauteed it with the onions. It carmelized nicely with the onions on a very low heat setting (another reason I love gas ranges). I followed the rest of the recipe. I loved the spice paste. It didn’t last long. I’ve been asked to repeat it soon by my parents, and my vegetarian uncle. I served it with brown rice. My son is a special education teacher in Brooklyn and he took some for lunch. He said there were many eyes green with envy in the lunchroom. Chamein, I love gas ranges too! So so glad to read this review from you. Glad you all enjoyed it and thanks for coming back to let me know!